President Donald Trump used a prime-time address to the nation Tuesday to insist on US$5.7 billion for a steel wall along the Mexican border. 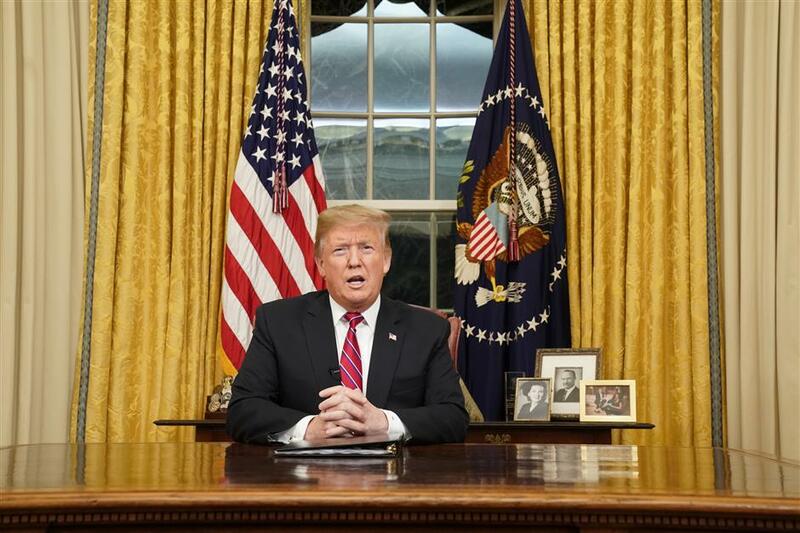 US President Donald Trump delivers a televised address to the nation on funding for a border wall from the Oval Office of the White House in Washington DC on January 8, 2019. President Donald Trump used a prime-time address to the nation Tuesday to insist on US$5.7 billion for a steel wall along the Mexican border that he said would stop the shedding of "American blood" by illegal immigrants. However Trump did steer away from earlier predictions that he might announce a national emergency, which would have given him the power to authorize the wall project without congressional approval. That, to opponents, is at best fearmongering for political purposes — or race baiting at worst.